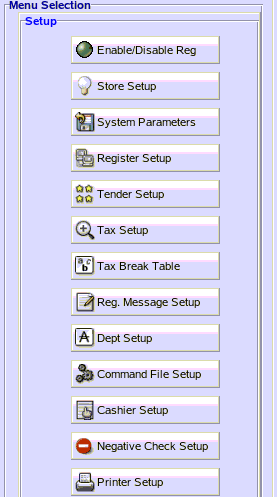 TravStar1 Point Of Sale SystemManager's Work Station Additional SetupHow Do I Remove a Bad Check Customer? How Do I Remove a Bad Check Customer? 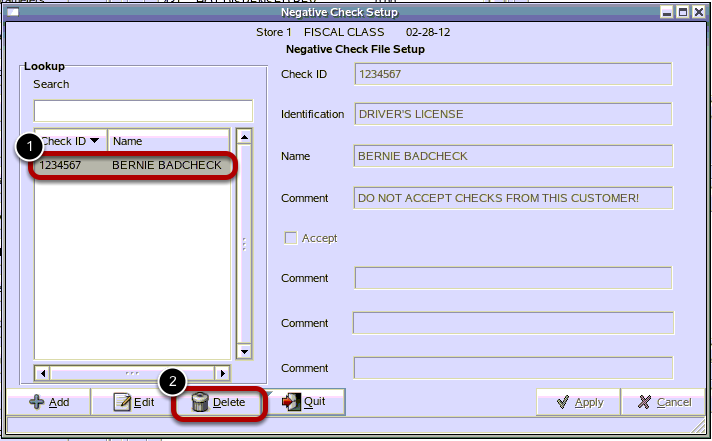 This lesson will teach you how to remove a customer that you have added to your Negative Check File so that alerts will no longer appear at the register when the customer attempts to use a check. 1) In the Check ID list, select the customer you wish to remove. 2) Click on the "Delete" button. Prev: How Do I Add a Bad Check Customer? Next: How Do I Setup a Percentage Discount?